Identifying adjective clause: Alfie will for sure be the cat who judges me as I fall down the stairs. Non-identifying adjective clause: Saku, who is super cuddly, is brown. Now that you’ve read Part 1 and understand the basics of adjective clauses, it’s time for us to take this to the next level - identifying and non-identifying. Identifying adjective clauses are used when we are providing essential, very important information that defines the noun we are describing. Non-identifying adjective clauses are used when we are providing additional information about the noun we are describing, but it is not used to, for lack of a better word, identify it. Let me provide some examples, which will make everything clear. I have two cats. My cat who pees in places other than the litter box remains my cat because she is so damn cute and cuddly. Note: The adjective clause is necessary to identify which cat is meant. Also note that there is no comma separating the noun from the introduction of the adjective clause. In speech, no pause would be required. I have two cats. Saku, who is ultra cuddly and affectionate with me, hates everyone else. 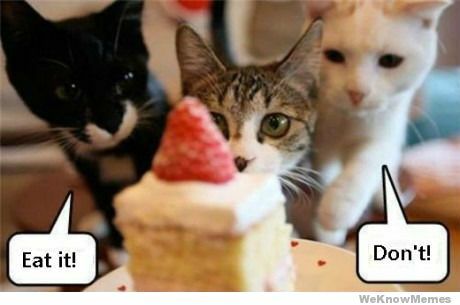 Note: The adjective clause is not necessary to identify which cat is meant. Also note that there are commas separating the adjective clause from the rest of the sentence. In speech, there would be a short pause, as required by the insertion of all commas. Do not use THAT to introduce non-identifying adjective clauses. THAT never follows a comma. Instead, use WHO for people and WHICH for places and things. 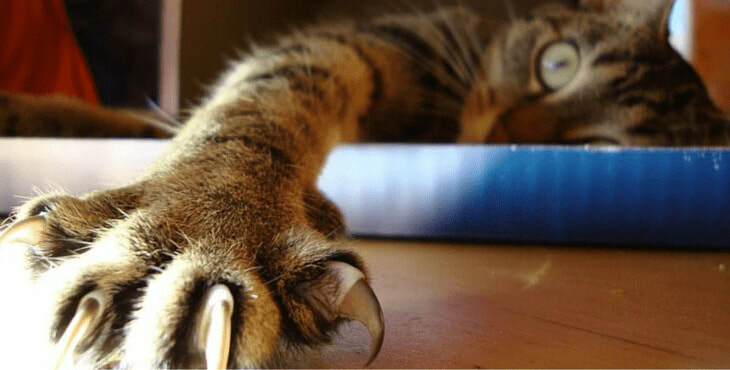 I said clause, not claws! There is quite a bit of information needed to fully understand adjective clauses. This is part 1 and it focuses on adjective clauses with subject relative pronouns. A clause is a group of words that have a subject and a verb. Clauses can be independent or dependent. An independent clause can stand alone as a complete sentence. A dependent clause cannot stand alone. It needs an independent clause to be a complete sentence and to be fully understood. Adjective clauses are dependent clauses – they cannot stand alone. They must be combined with an independent clause. I think it’s safe to say that everyone knows that adjectives describe nouns (people, places, or things). Well, think of adjective clauses as doing the same thing; they describe a noun. An adjective clause is a group of words that typically start with relative pronouns. This post will focus entirely on subject relative pronouns, meaning that the relative pronoun that introduces the adjective clause is the subject in that clause. This is easy to recognize as the relative pronoun will be followed by a verb. Use who to describe people. Use that and which to describe places or things. I know the women who work at the bar. Explanation: Think of this as a combination of two sentences. I know the women. They work at the bar. “Who” is the subject of the adjective clause “who work at the bar”. Ottawa is a city that attracts a lot of tourists. Explanation: Think of this as a combination of two sentences. Ottawa is a city. It attracts a lot of tourists. “That” is the subject of the adjective clause “that attracts a lot of tourists”. Savannah, which is where I got married, is a beautiful city. Explanation: Think of this as a combination of two sentences. Savannah is a beautiful city. It is where I got married. “Which” is the subject of the adjective clause “which is where I got married”. Pay attention to verb use in the adjective clause. If the subject relative pronoun refers to a singular noun, we use a singular verb. If the relative pronoun refers to a plural noun, use the plural form of the verb. Never use subject pronouns (I, you, he, she, it, we, they) and a subject relative pronoun in the same adjective clause. Part 2 of this series focuses on the two types of adjective clauses, namely, identifying and non-identifying. I was listening to some Christmas music when I decided what to write about this month - Christmas expressions. I picked three fun ones. Christmas comes but once a year - Literally, it means that Christmas comes but once a year, but what is implied here is that we should enjoy it to the fullest. More often than not, it means, at least in my circles, to indulge in food and drink. Christmas came early (this year) - This is said when someone receives unexpected good news, as Christmas is a happy time of the year. Example: Shelly is doing much better and is back from the hospital. Looks like Christmas came early this year for her and her family. The holiday spirit - This is said when one is excited about the holiday (Christmas). Example: I've been listening to classic Christmas songs all afternoon. I'm really feeling the holiday spirit. Conscience is a noun. It’s that inner voice inside your head that gives you some “moral” guidance – to know the difference between right and wrong. The conscience is what is responsible for making people feel guilty of actions they did or did not do. For example, I should go to the gym tonight and work out. I have a guilty conscience because I know I won’t go. But what clears my conscience is knowing that I am working on this blog post – not just lazing around. That's today's excuse, anyway. Conscious is an adjective. Conscious is a description of a state. If you’re awake, you are conscious – meaning that you are aware of your surroundings. But being asleep is not the same as being unconscious. A sleeping person will respond to loud noises or a gentle shake – an indication that they are aware of their surroundings – whereas an unconscious person will not. 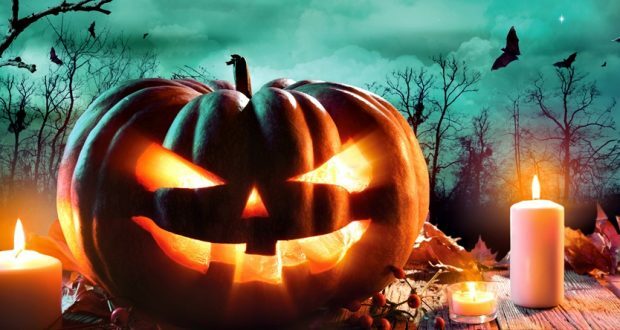 The origin of Halloween begins in Ireland’s Celtic past. I take pride in knowing that the Whelan’s (my surname) were among the first to celebrate one of my favorite holidays. The celebration dates back to Samhain (pronounced Sow-in). Samhain was celebrated on the 1st of November, and was much like our current New Year. And like New Year’s, the real celebration takes place the night before – to bring in the new year. The Celts ended their year with Fall – a time when all the crops would be harvested and placed in storage for a long winter. Samhain was also spiritual in that it was believed that at this time, the boundaries between the living and dead got blurred. To ward off the evil let loose at Samhain, huge bonfires were lit and people wore ugly masks and disguises to confuse the spirits and stop the dead from identifying individuals they had disliked during their own lifetimes. Some people would leave food outside their homes in hope that their generosity could appease the dead. As with many pagan holidays, Christianity pushed its way in to create a more “acceptable” Christian event. Sure enough, November 1st was declared to be All Saints Day, also known as All Hallows Day. The evening before became known as Hallows' Eve, and from there the origin of Halloween, as a word, is clear. Many Americans (and thereafter Canadians) don’t realize that Halloween was never celebrated until the arrival of the Irish in the 1840s. It’s believed that when Irish immigrants moved to the US, the native pumpkin was adopted for Halloween purposes. Traditionally, it had been the Irish turnip – YIKES! This year, as you celebrate Halloween, you can remember your Celtic forbears and wish one another a happy and prosperous New Year. Cats feature very often in English idioms, and since I love cats, I thought I’d relate to you the origin of one. A cat nap is a short, light sleep. It is also known as a power nap. A short cat nap is about 20 minutes long. Did you know the origin of napping all started in Ancient Egypt? Cats were considered sacred, so the Pharaohs began to emulate this animal’s behaviour. When I nap, I tend to copy my cats’ behaviour a little more literally – by taking a two-hour nap. I wonder if this is also the origin of copycat? Let’s talk about it, eh? Internationally, Canadians are mocked for their use of “eh”. It’s recognized as a uniquely Canadian form of speech, often to the point of exaggeration and stereotype. And we’re so aware of this stereotype that we play along and create awesome shows of the likes of “Bob and Doug MacKenzie”, which started as a famous skit on SCTV. But did you know that not only does it exist in other languages, but it also does not originate in Canada? “Eh” has its roots in Middle English and has been recorded in writings as far back as Chaucer. That’s the 1300s! Similar interjections exist in other languages, such as Dutch, Armenian, Hokkien Chinese, Japanese, French, Finnish, Italian, Greek, Hebrew, Malay, Spanish, Persian, Portuguese, Arabic, Turkish, Korean, Catalan, and Filipino. To understand all of the nuances of the Canadian “eh”, a student from the University of Toronto, Elaine Gold, compiled a list by conducting a survey in 2004. This is the most extensive list of the different variations. My co-workers and I got the chance to do some team building at an escape room last week. The theme all around took place in Ottawa, Canada in the 1920s. The room I played in was called The Parlour, where bootlegging was rumoured to have occurred. It was after we "escaped" and celebrated that we questioned how selling alcohol illegally became to be known as bootlegging. ​And as we have it, we live in the day of Google, so I found the answer. And now I shall share it with you. The word seems to have first appeared in the American Midwest in the 1880s to denote the practice of concealing flasks of illicit alcohol in boots when going to trade with Native Indians. The term became part of the American vocabulary during its Prohibition (of alcohol) period, from 1920 until its repeal in 1933. 'Who' and 'whom' are use to describe people (and pets), not things. In adjective clauses, 'who' is used as the subject, and 'whom' as the object. How do we know if we should use the subject (who) or object (whom)? For whom did Bonnie buy the toys? She bought them for her cats. She is the one who bought them toys. Now this trick only works when dealing with sentences. I have another trick for when we get into questions. Look at the word that follows who/whom. If the word is a verb, then use who. If the word that follows is a noun/pronoun, then use whom. I want to know who/whom you love. Logic used: The word that follows “who/whom” is “you”. Correct: I want to know whom you love. I wonder who/whom borrowed the book. Logic used: The word that follows “who/whom” is “borrowed”. Correct: I wonder who borrowed the book. Ask yourself, what sounds right? You love he. / You love him. She borrowed the book. / Her borrowed the book. Who/whom did you invite to the party? Ask yourself, which sounds right? I invited he. / I invited him. Correct: Whom did you invite to the party? Who/whom was the first to step foot on the moon? He was the first. / Him was the first. Correct: Who was the first to step foot on the moon? Still having trouble? Well, good news. I don’t think too many people would care or even notice if 'whom' slips out of the language altogether. It doesn't add clarity, or even useful nuance. Using it adds a bit of class, but not using it is not the error it might once have been. ​So in the end, who cares? Why is a pair of pants only one article of clothing? ​A “pair” means two, but when we speak of a pair of pants, we mean only one article of clothing. 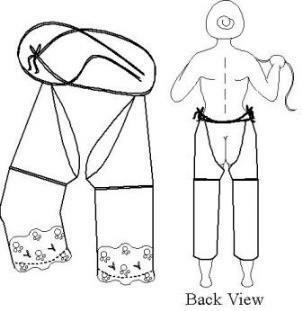 Well, the answer goes back to a time when pants (or pantaloons) were actually two separate pieces of fabric. You had to put them on separately. You had to put one on one leg, tie it around your waist, and then repeat the same for the other piece. I guess the phrasing was retained even when pants became one article of clothing. Shirts only came in one piece, so I guess no one was ever inspired to call it a pair of shirts. 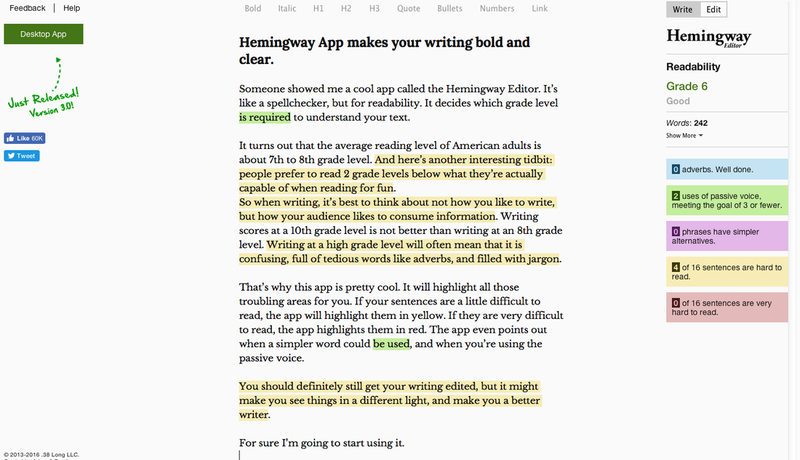 Someone showed me a cool app called the Hemingway Editor. It’s like a spellchecker, but for readability. It decides which grade level is required to understand your text. It turns out that the average reading level of American adults is about 7th to 8th grade level. And here’s another interesting tidbit: people prefer to read 2 grade levels below what they’re actually capable of when reading for fun. So when writing, it’s best to think about not how you like to write, but how your audience likes to consume information. Writing scores at a 10th grade level is not better than writing at an 8th grade level. Writing at a high grade level will often mean that it is confusing, full of tedious words like adverbs, and filled with jargon. That’s why this app is pretty cool. It will highlight all those troubling areas for you. If your sentences are a little difficult to read, the app will highlight them in yellow. If they are very difficult to read, the app highlights them in red. The app even points out when a simpler word could be used, and when you’re using the passive voice. You should definitely still get your writing edited, but it might make you see things in a different light, and make you a better writer. For sure I’m going to start using it. ​In fact, I used it for this blog post! See the image below.